John Streur is one of the few, perhaps only, fund managers in the world who knows a lot about guns. He blogs about guns. He is a liberal who is an anti-gun activist. And yet, his firm owns shares in a big gun retailer. He believes in engagement, rather than doing the ‘Wall Street walk’, as the way to fight the good fight. In Australia for a series of investor presentations last week, Streur, the chief executive of Calvert Research and Management, said that divestment from gun manufacturers, as many fund managers have done, just hasn’t worked. There may be a lesson for Australian investors here, who have similarly divested from dirty coal miners and users. 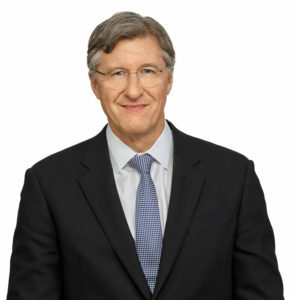 US-based Calvert, an affiliate company of Eaton Vance, is one of the oldest and largest specialist ESG-orientated managers. It started life in 1976 with the launch of the world’s first global negative screen mutual fund, that divested itself of South African stocks because of the apartheid laws at the time. In the mid-1970s, South Africa became the subject of many boycotts, from trade to sport. Nelson Mandela was still in gaol. Demonstrations were held in Sydney’s Domain when the Springboks rugby team wanted to visit. Marchers took over George Street. Protestors were arrested. Apartheid was front-page news around the world, until it was dismantled in 1993. “In 1976 Calvert’s founders decided that the world needed a socially responsible voice in capital markets. Our core beliefs as individuals remain to help with social change,” he says. He says that it is clear to him, at least, and Calvert, that it is up to investors to make an impact. Governments and regulators are not likely to do so. To change the behaviour of companies is an investment issue. Milennials, the oldest of whom are now 37, are more in tune with socially responsible investments than previous generations, he says. Calvert, which has about US$14 billion under management across a wide range of equities and fixed income strategies and funds, came into the Eaton Vance fold last year, which has meant an introduction to the Australian market through the parent’s Sydney office. Streur says that while Australia and New Zealand are world leaders in terms of consideration of ESG issues, they are still only small in population and asset size – notwithstanding the size of Australia’s super system. Duncan Hodnett, Eaton Vance’s Australia and New Zealand head, says that some of the mega trends that Calvert is studying include: the impact of artificial intelligence on the environment; the transitioning from fossil fuel dependent economies to renewable energy ones; long-term population declines in most western countries; and, automation changing the nature of work. As David Neal, the chief executive of the Future Fund, told a conference last year, work is increasingly being seen as something you do. It’s not a destination.